This week, we present a musical play written by and starring the Residents of the Royal Infirmary of Edinburgh and originally performed on 17th December 1897, the script of which comes from LHSA’s pamphlet collection. The junior doctors of the Royal Infirmary of Edinburgh in their first year of appointment at the hospital, known as the Residents, had a reputation for mischievous anti-authoritarian behaviour in their free time. Perhaps in the face of the suffering and death they encountered on a day-to-day basis, they instinctively responded with an irreverent sense of humour. 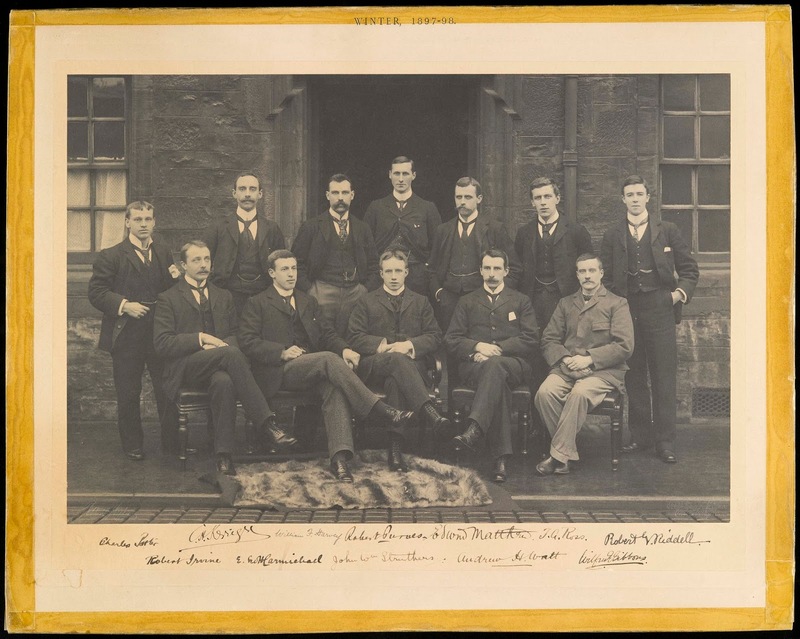 The images show the Residents' class of winter 1897-1898 posing for their official photograph and the cover and an extract of the play they performed. The cover has the sub-heading ‘K.C. ‘97’ which presumably stands for ‘Kitchen Concert’ as this is mentioned in other documents in the archive relating to the Residents. The script for the play contains a mixture of slender political comment on Russia, which was then under the rule of Tsar Nicholas II (or ‘Czar’ in the play), medical veering towards toilet humour and impersonations of their teaching doctors. A regular threat which runs through it is for characters to be sent to Siberia, the common destination for dissidents of the Russian regime. Out of the play’s performers, Edwin Matthews and J.W. Struthers went on to become respected surgeons in Edinburgh, who taught their own cliniques for medical students. Songs in ‘A Trip to Moscow’ were written to popular tunes of the day including those from operas by Gilbert and Sullivan, which has another connection to the Residents - as will be revealed in a future blog. 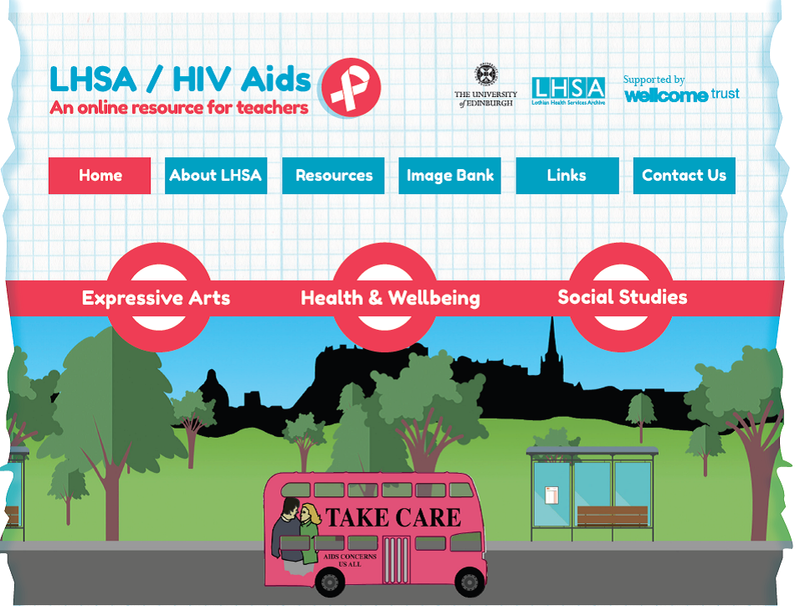 Today, LHSA launched a brand new website packed with educational resources, images, and audio visual material from our UNESCO-recognised HIV/AIDS collections: www.hiv-aids-resources.is.ed.ac.uk. Click here to find out more about the background of the project. The website mainly consists of educational resources that are linked to the Curriculum for Excellence and are for use with school children aged between 12 and 15 by teachers and youth group workers. 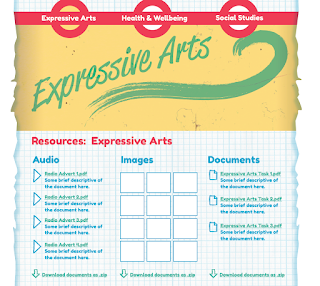 Three subjects themes from the Curriculum for Excellence are covered on the website: Expressive Arts, Health and Wellbeing, and Social Studies. On the home page, you may recognise the pink bus from the ‘Take Care’ campaign. We chose this to go on the first page as we felt it matched the three main subject themes. Firstly, Expressive Arts, the bus was a part of a well designed, highly visual campaign which used a distinctive logo and the colours blue and pink on a wide range of media. Secondly, Health and Wellbeing, the bus was used to promote the message “Take care of the one you love” and raised awareness on how HIV was transmitted. Lastly, Social Studies, the statement on the bus “AIDS concerns us all” aimed to dispel the myths surrounding HIV and reduce the stigma associated with the disease and was used throughout the ‘Take Care’ Campaign. This main page leads directly to the resources themselves. Each subject theme has five educational resources linked to it. 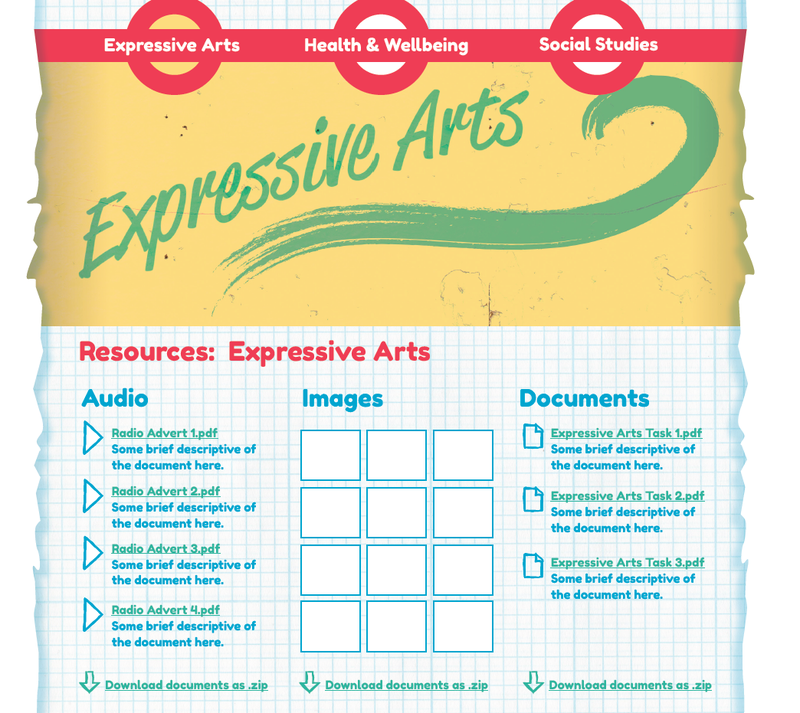 You can download the resources as a pdf. The images and audio-visual files associated with the resources can also be downloaded here, either singly or together as a zip file. Each resource consists of four pages. The first page is a cover sheet that gives a short introduction to what the resource covers and which experiences and outcomes the resource matches. The next page gives some useful background information to the resource and images. 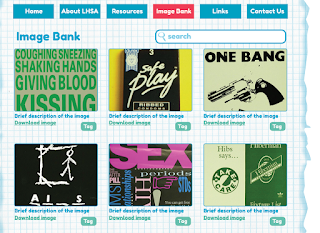 An image sheet containing the relevant images is provided for quick reference followed by a section that suggests activities based on the items in the collection. Activities in the resources are varied and include starter activities such as true and false quizzes, mind maps and discussion points. They also provide ideas for projects such as making interactive computer games using Powerpoint software, designing radio adverts and postcards, and launching a health promotion campaign. 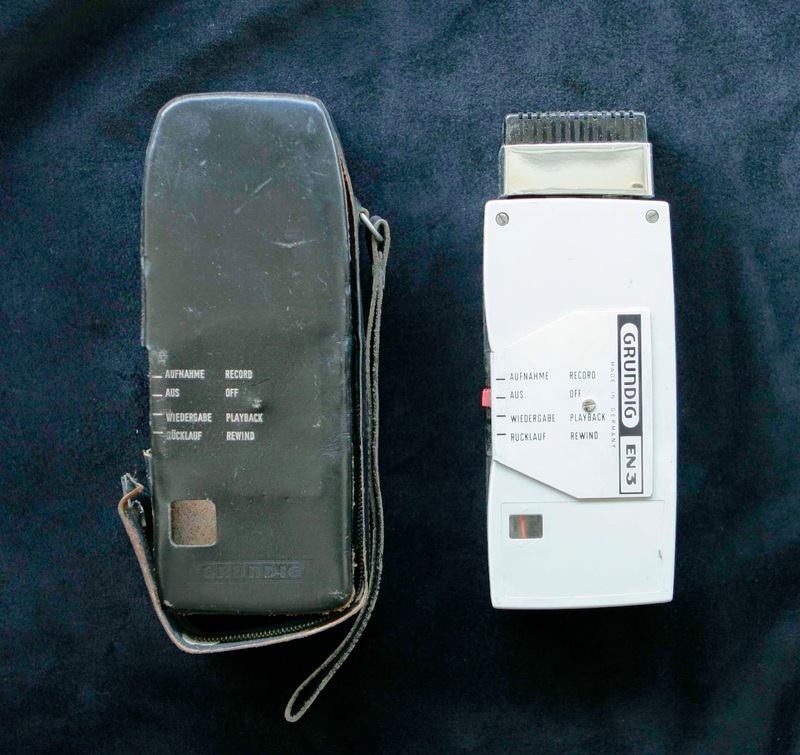 Other pages on the website include a historical context page, which gives information on the HIV/AIDS epidemic in Edinburgh from the early 1980s to present day. 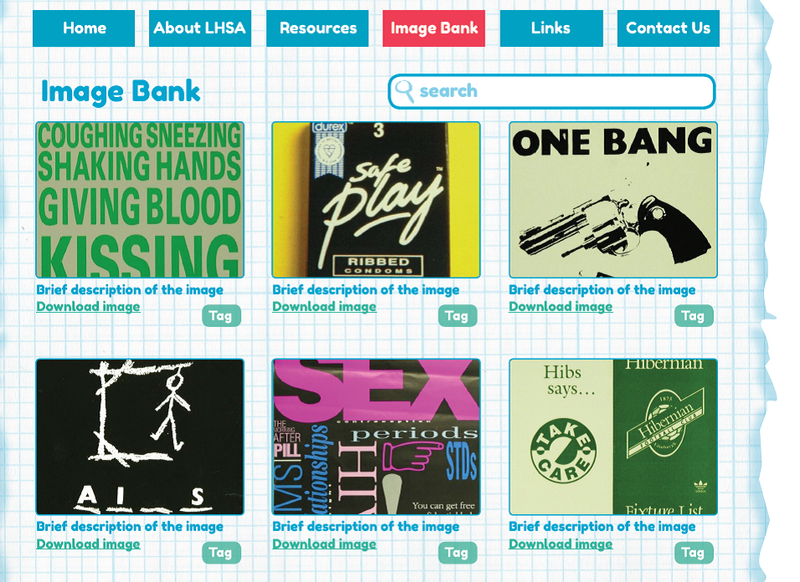 An image bank is also provided on the website. This way users can get an overview of the images and click on specific tags that will take them back to the related resource. So far, we’ve had great feedback for the website. Everyone agrees that the educational potential for the HIVAIDS collections is huge and the highly visual material in the collections will greatly appeal to school children. We hope that this website will help to promote these fantastic collections to a wider and more diverse audience and inspire educational professionals to use archives in the class room. Check out the website at www.hiv-aids-resources.is.ed.ac.uk and let us know what you think! Emily giving her presentation at the website launch this afternoon! It's all go with the Norman Dott project here at LHSA… Not only is Aline working hard to catalogue Second World War records from the Bangour Brain Injuries Unit, but we’ve had a change in personnel in the main project as Clair Millar takes over as Project Cataloguing Archivist. 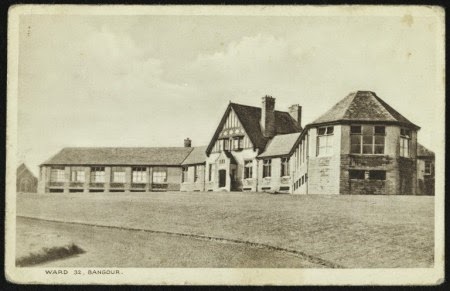 The Dott theme also continues this month because Louise will be talking about the some surprising finds in the records of the Bangour Brain Injuries Unit at the Festival of Museums (http://www.festivalofmuseums.co.uk/) on Sunday 17 May. The Festival of Museums is a weekend packed with heritage events, showcasing the amazing and (in many cases) surprising secrets that Scotland’s museums and archives hold. One theme this year is ‘dark Edinburgh’, and Louise will be talking about the medical impact of what happened when the city’s lights went out as a consequence of the blackout imposed during the Second World War. LHSA’s collection of case notes from the Bangour Brain Injuries Unit reflect these bumps and scrapes (of varying severity!) in the military and military auxiliary staff who were treated there for the head injuries that so often ensued, and Louise will be telling some of these stories – redacted for confidentiality, of course! Readers can only access these files with special permission, so Louise’s talk is a rare chance to learn about what sorts of cases these files hold. As you may know from previous blogs (http://bit.ly/1DT0pYz), Norman Dott worked at Bangour from 1939, when he developed a specialist unit to treat brain injury and neurological disorders in military personnel. As Consultant in Neurosurgery to the Army in Scotland, Dott saw a range of military patients, from high-ranking officers to cadets and ATS auxiliaries. Although you’d expect injuries of this time to always be incurred on the field of battle, Dott’s practice demonstrated that this was far from the case, and that the war could be hazardous in small, everyday ways that are not at all obvious at first. You can book free places for Louise’s talk from the Festival of Museum webpages: http://bit.ly/1GaWzIT. Our colleagues in the Centre for Research Collections, the University of Edinburgh Anatomy Museum and Surgeon’s Hall are also getting involved with some ghoulish events, activities and performances. You can plan your Dark Edinburgh weekend here: http://www.festivalofmuseums.co.uk/events/?r=6. 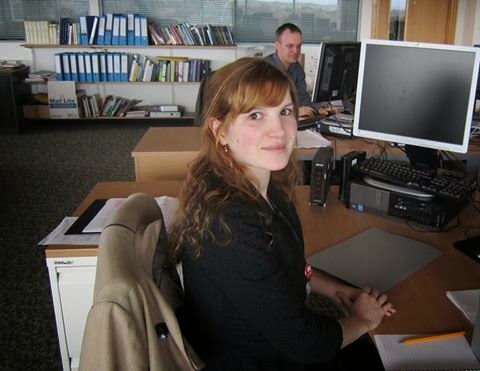 My name is Aline Brodin and I started my 10-week internship at Lothian Health Services Archive on Monday the 13th of April. I am working on the project “Cataloguing Norman Dott's neurosurgical case notes (1920-1960)” under the supervision of Louise Williams. My role is to create an item-level based catalogue of the 26,000 case notes of the pioneer neurosurgeon Norman Dott – or at least make a contribution to it. It is fascinating material with a great deal of information for social, medical and military history. But before expanding on the case notes themselves, I would like to present myself and my background, and how I came to work for LHSA. I originally come from Caen, in Normandy, where testimonies of history are everywhere – from the imposing castle of William the Conqueror to the solemn D-Day beaches. Studying medieval history, I chose to follow my Norman ancestors and to come to Britain for my second year of my master’s degree, which I did at the University of Glasgow with the Erasmus programme. Little did I know I would still be in Scotland four years later. Indeed, after my Erasmus year, I did a master’s degree in Archives and Museum Sciences and I decided to do my work placement at Glasgow University Archive Services. My role there was to create an item-based catalogue of the Blackhouse charters, 500 documents dating from 1246 to 1717 pertaining to the history of the University of Glasgow. This was a fascinating project that enabled me to consider historical documents from another angle – not as a historian, but as an archivist. A few months later, I was hired for a three-month contract at the Royal College of Nursing in Edinburgh as an archive assistant. It was my first contact with contemporary medical archives, which were quite different from what I had worked with before but equally captivating. This led me to apply for the LHSA internship, which I thought was in perfect continuity with my previous experiences since I had already worked with both item-based catalogues and medical archives. During these first two weeks, working with the Norman Dott collection has been very exciting and enriching. One could think that medical archives can be somewhat “dry” and hard to understand, with its obtuse, very specialised, vocabulary and its technical charts and reports incomprehensible for the layman. However, although they do include very sector specific jargon and were never supposed to be historical documents, Norman Dott’s case notes offer direct contact with the past, and tell life stories, tales of war and examples of medical prowess…especially since the case notes I am cataloguing are from his time in the Brain Injuries Unit in Bangour General Emergency Service Hospital in Broxburn, and date from 1943-1944, in the midst of the Second World War. In this Unit, Norman Dott treated servicemen and servicewomen from all over the world – so far I have come across people from the United Kingdom of course, but also many Polish soldiers (especially Polish pilots), Norwegian officers, North American soldiers, a soldier from the French Antilles and another one from British Honduras, and even an Italian prisoner of war. They could be sailors, pilots, basic soldiers, medics, but also female ATS and WAAF members; and they all had a story to tell. The case notes, especially the typed case summaries, often give a detailed account of the patients’ lives: their family, their personal history, what brought them to Bangour (accident or illness), their feelings about the treatment they received and about serving in the army. Treating brain injuries meant you had to be attentive to the slightest psychological symptoms such as changes of behaviour, mood swings and general state of mind, in addition to physical symptoms; therefore, the case notes sometimes give a very personal and intimate insight into someone’s life and mind during a very critical time. Norman Dott’s diagnosis was all the more important in that it determined if they could return to fighting for their country or had to be discharged. I find it fascinating to see destinies unfold before my eyes, some of them being very poignant. The objective of the Norman Dott project is to create an online catalogue that will make the collection visible, accessible and intelligible to researchers, whatever their interest or background, whilst preserving patient confidentiality. It will bring this fascinating collection to life and help it reach its full potential; that’s why I am very honoured and excited to be part of this project.